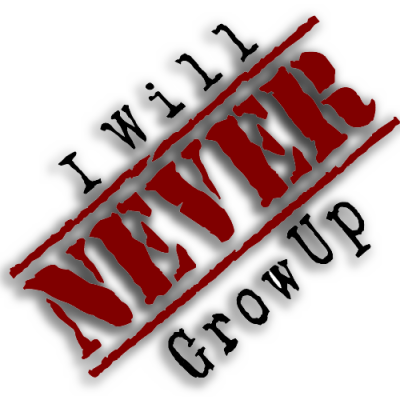 I Will Never Grow Up Games is interested in games with fairly simple rules (preferably 1-4 pages), reasonable play time (15-60 minutes) and designed for 2 or more players. We are interested in abstract, strategy, war games, and fast-paced, high player interaction card and board games. We will also look at Role Playing Games and supplements for our own line(s). We are not interested in sports games, collectible games (of any type – especially CCG’s – no way, move along), “party games” (think CAH or Wits and Wagers for example), word games (think Bananagrams), strictly “educational” games or variants on classic games. We are also not overly interested in games requiring custom miniatures, custom dice or anything requiring an Intellectual Property (IP) that you don’t already own the rights to. If your game has already been published elsewhere or previously funded (or currently live) on Kickstarter, we’re not interested in that either. We’re not trying to pump out games we don’t care about every other week. We’d rather make only games we truly love and are happy to share with the world.